Find out if your vehicle qualifies for a buyback under the California lemon law. 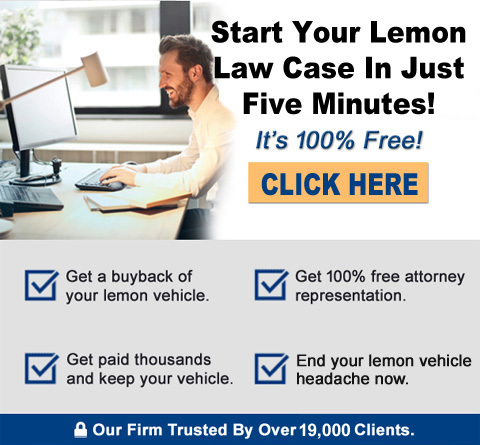 Let California's Largest Lemon Law Firm help you today for free! Find out if your vehicle qualifies for California lemon law. This is a free service for California consumers. Are you experiencing BMW 550i problems? Do you own a twin-turbocharged BMW 550i (Sedan or Gran Turismo) that produces one or more of the following symptoms/problems, and at least one of the symptoms/ problems has been subject to 3 or more repair attempts ( 2 if specifically for stalling complaints ) at the dealership during the original 4 year/50,000 mile factory new vehicle limited warranty, or “BMW Certified Pre-Owned” warranty? A number of the new twin-turbo 550i series vehicles have issues with the high pressure fuel pump/pressurized fuel delivery system, fuel injectors and spark plugs, causing a rash of drive-ability issues including “no-start”, “hard-start”, “extended cranking time”, “start then stall”, “stall while engine is running” and more. Do you have surging, stalling, or other driveability complaints? Do you have the cooling system overheating and/or coolant leaks? Do you have loss of power or warning lights while driving? Do you have I-Drive issues or repeated dashboard warning displays? Do you have “CHECK ENGINE” light problems? Do you have “SERVICE ENGINE SOON” light problems? Does your 550i or Gran Turismo consume too much oil? Do you have engine mis-fire/knocking problems? Do you have power steering or “active steering” problems? Do you have SRS/Airbag/Passenger Seat Occupancy problems? Do you have transmission problems? Do you have Traction Control/Stability control system problems? Do you have “ABS brake warning light” problems? Do you have other problems not listed above? If you feel that you meet the “3 or more repair attempts” (or 2 repair attempts if both repair invoices specifically noted for engine stalling complaint) criteria noted above, please call us at the toll-free number below to receive a FREE Lemon Law case review and evaluation of your vehicle. PLEASE NOTE: For engine/drive-ability/etc. cases, we do not accept cases for review in which the owner has modified the vehicle via installation of aftermarket performance “chips”, “mapping”, “intake systems” and “starting at the exhaust manifold” exhaust systems, etc. We also do not pursue cases wherein one or more repair invoice on your 550i states “outside influence – not a warranty issue” or “evidence of tampering”. If the vehicle is used for “business purposes,” a lemon law claim/case cannot be brought on that vehicle if there are more than 5 vehicles registered to the owner/business. Cases that are accepted will be at a very low “contingency fee” to the consumer (attorney’s fees billable to auto manufacturer under statute if attorney settles case). We would like to stress that BMW’s are one of the highest quality and most technologically advanced vehicles on the market, and that the issues noted above will likely not happen to most owner’s of these vehicles. That being said, despite a manufacturer’s best efforts, some 550i’s will turn out to be “lemons” by their qualifying warranty repair histories. For these vehicles California’s largest lemon law firm can be a great asset to consumers in getting their legal entitlement under the California Lemon Law. The California Lemon Law protects consumers that purchase or lease new 550i vehicles in the state of California, register them here via paying California tax and license (registration), and have their warranty repairs performed at factory authorized California BMW dealership locations. Consumers must keep their warranty work receipts, or gain a “warranty repair history” printout from the dealership to prove the repairs/repair visits that have taken place. Our lemon law statute in California provides the manufacturer of your vehicle with a “reasonable” number of repair attempts to rectify the problem/symptom. The number of repair visits necessary to be “reasonable” is relative to how many months the car has been in warranty service, the description and substantiality of the symptom/problem, and the number of miles currently on the car. It should be noted that contrary to what you may read in your vehicles warranty book, California has no requirement for “arbitration”, allowing the consumer to directly seek and retain legal counsel to represent them in a “lemon law” case. Manufacturer’s “Customer Assistance Centers” give out “case numbers”, which are NOT a lemon law case, but rather simply a reference number for the next time you call in with a complaint. Watch out for the age-old trick of the “dealer trade assist” or similar wording used by some car dealers if a customer complaints about his/her 550i that has symptoms/ problems. Customers are often told “we will get you out of your car and into a new one”. Don’t fall for this time-worn consumer ploy. This is simply the dealer trying to take your 550i back in trade and sell you a new one, taking all the negative equity from your current 550i and hiding it in the loan or lease on the new replacement vehicle. Our California lemon law is the avenue car buyers utilize to get their money back, or a new replacement 550i series vehicle. Under our California statute, consumers who buy or lease a new vehicle (or a used BMW that is still under the manufacturer’s new vehicle warranty or “Certified Pre-Owned” 100,000 mile CPO warranty program) all get to exercise their California Lemon Law rights if they have a qualifying repair history. We invite you to contact us today. We are consumer advocates. We are on your side. We have settled over 16,200 California lemon law cases. We have 30 years of experience as we do ONLY “lemon law cases” – no other area of legal practice. Find out if your vehicle qualifies for California lemon law.